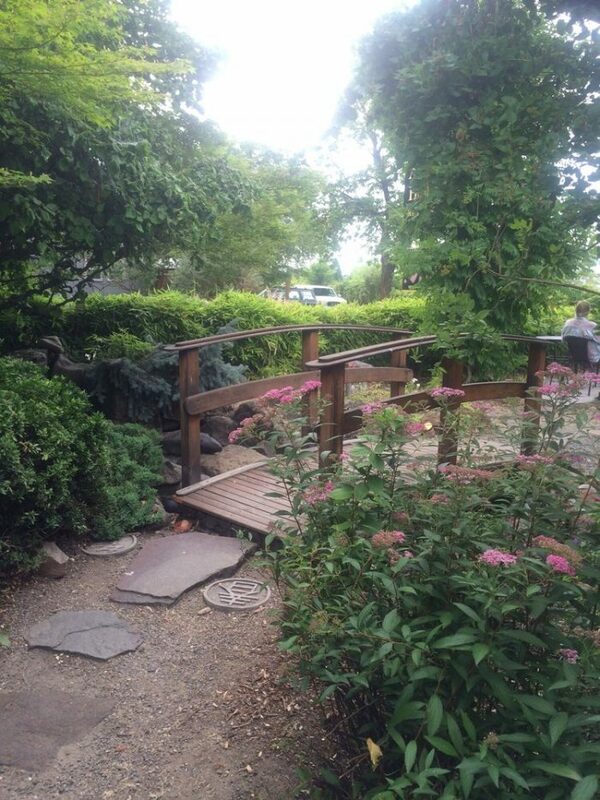 This lovely restaurant in Ashland has beautiful patio seating out back. 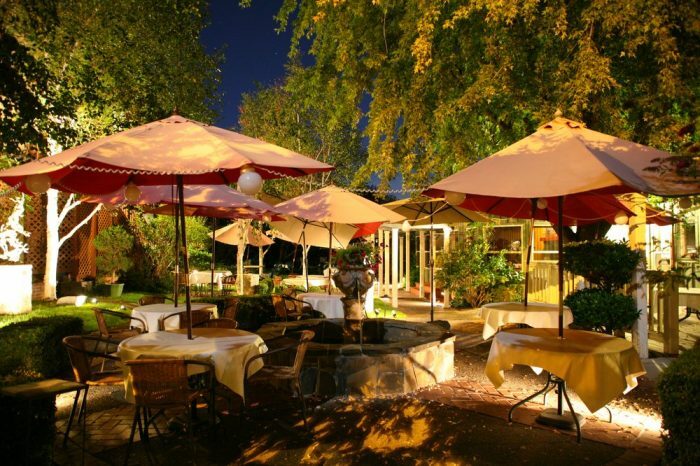 Enjoy cocktails and New American cuisine in their lavish, hidden garden. 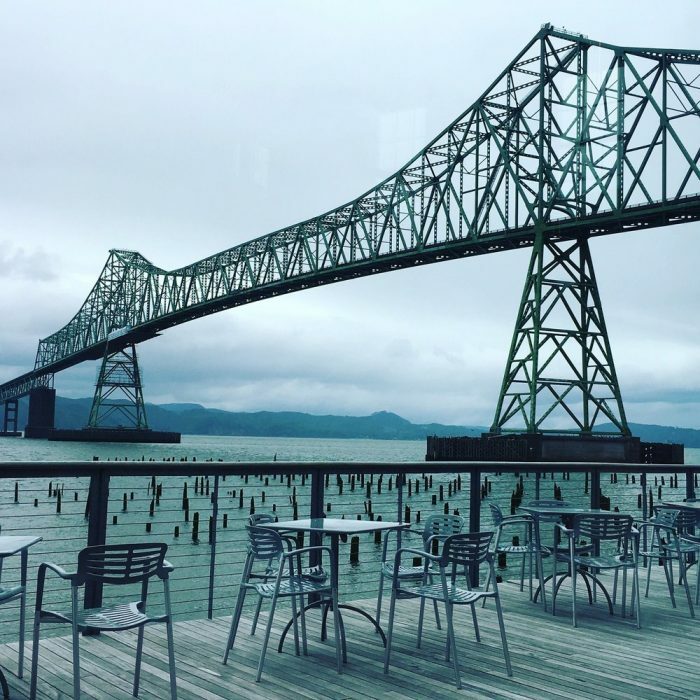 This incredible restaurant is located on a historic pier in Astoria. 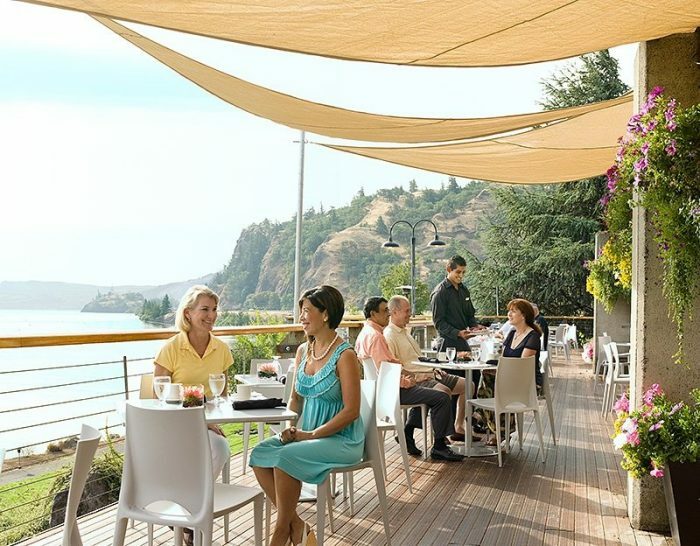 Sit outside on the deck overlooking the beautiful Columbia River while you enjoy a fresh, local meal for brunch, lunch, or dinner. 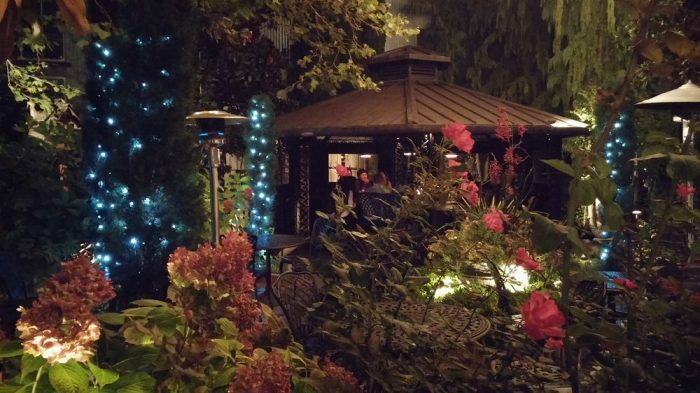 Tucked away in downtown McMinnville is the lovely Bistro Maison. 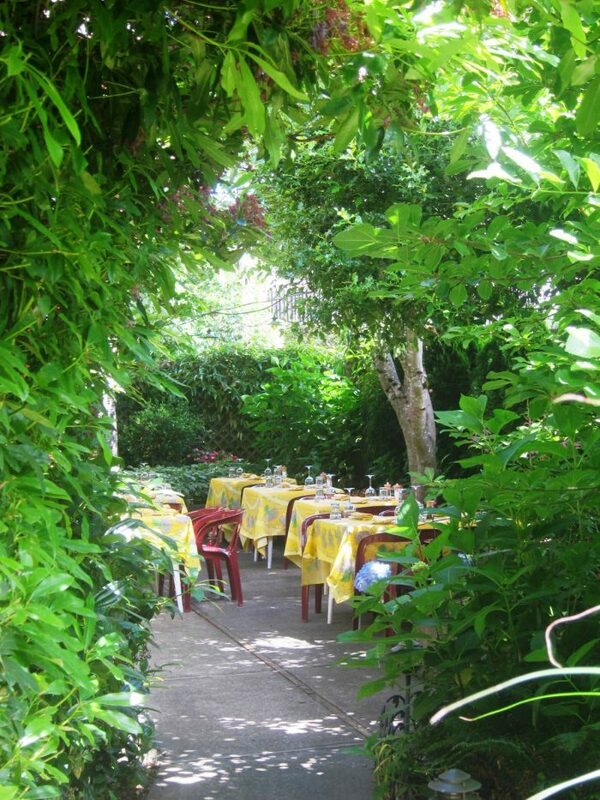 This homey restaurant serves delicious French food and local wine that you can enjoy on their lovely garden patio. 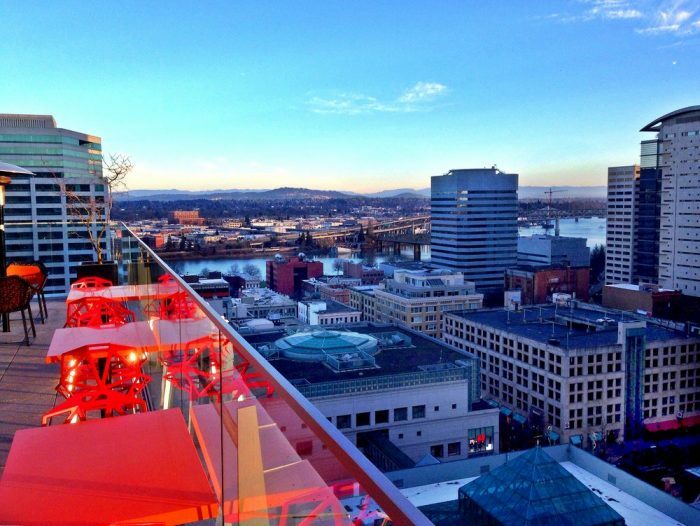 This elegant Asian fusion restaurant in Portland overlooks the entire city from an amazing rooftop patio. 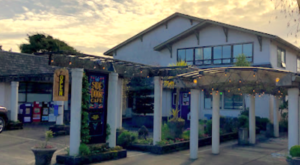 Located in Coos Bay, this casual Scottish-influenced cafe serves tasty vegetarian food that you can enjoy on their cute backyard patio. 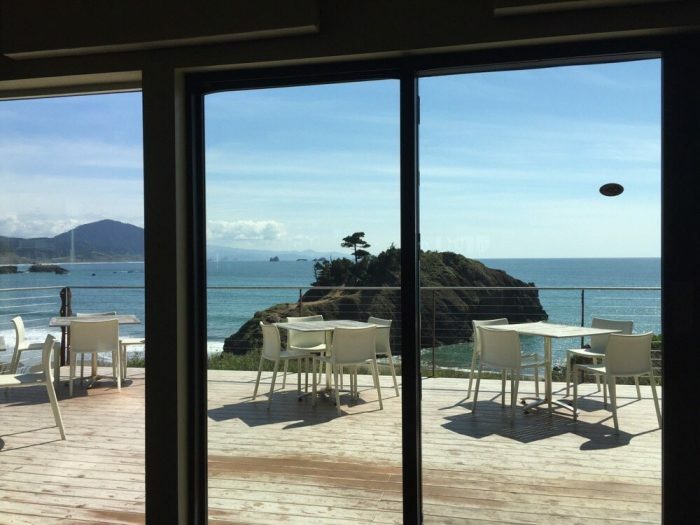 This incredible farm-to-fork restaurant grows their own delicious produce. 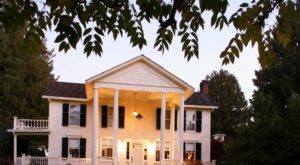 Visitors can enjoy a mouthwatering meal in a fairy tale-esque garden setting complete with blooming flowers, hedges, wrought iron tables, a fountain, a gazebo, and more. 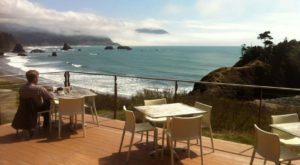 This award-winning seafood restaurant in Port Orford serves delicious French-influenced dishes in a beautiful setting overlooking the stunning Pacific Ocean. 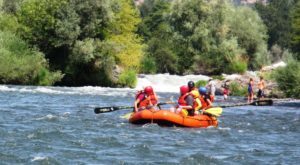 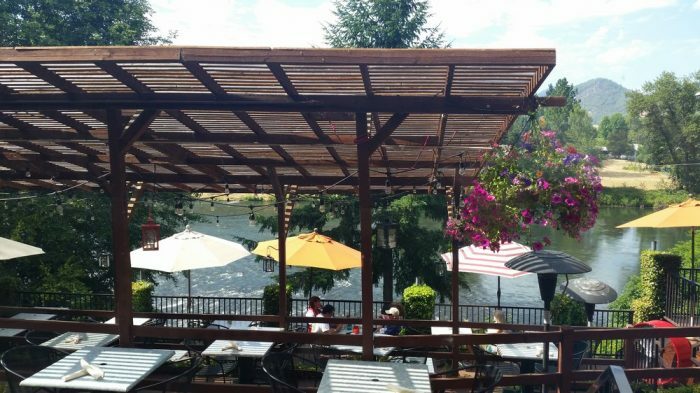 Located in Grants Pass, River's Edge has two levels of beautiful, partially covered outdoor seating that overlooks the gorgeous Rogue River. 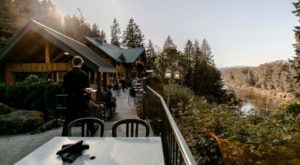 This Italian-inspired restaurant in Hood River is perfectly picturesque. 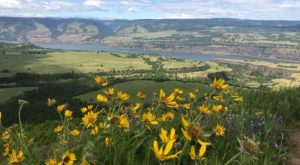 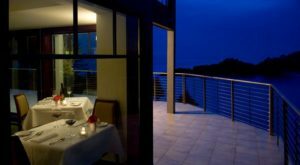 Enjoy fresh, local food and wine while you look out over the breathtaking Columbia River Gorge. 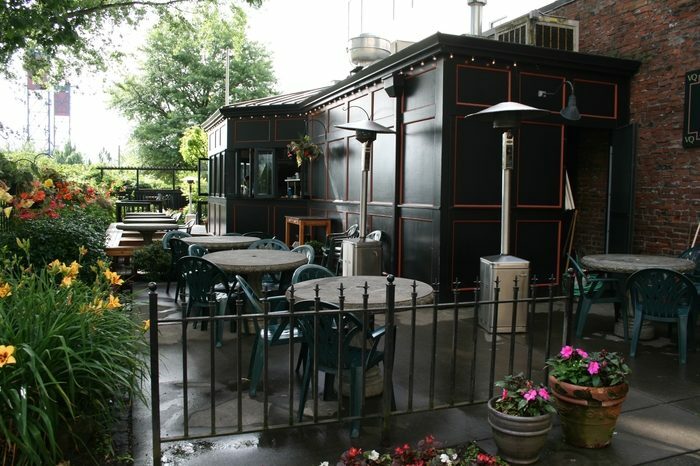 This beautiful, unique restaurant in Portland has delightful outdoor seating on their back patio. 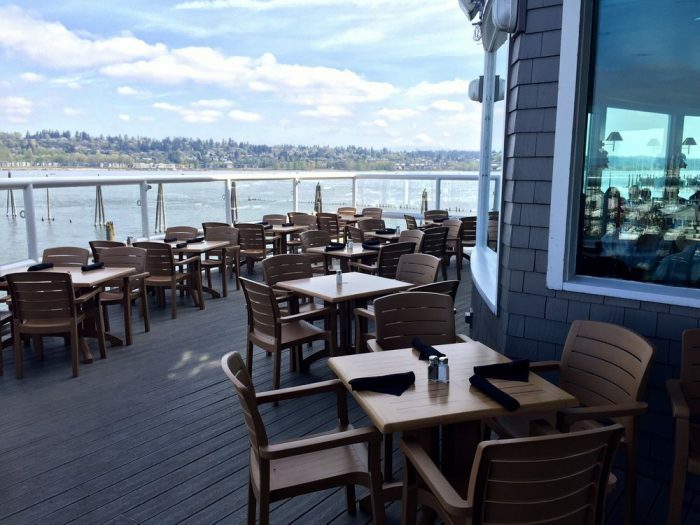 Enjoy a mouthwatering, fresh-caught seafood dinner at Salty's, a charming restaurant in Portland that overlooks the majestic Columbia River. 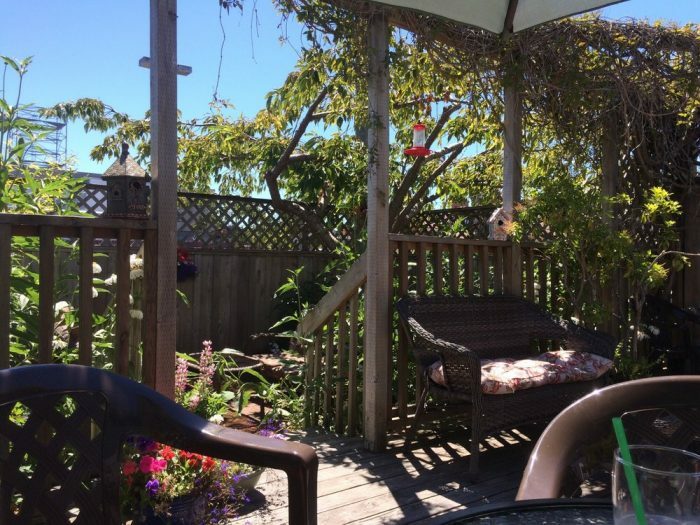 This romantic little gem in Talent serves delicious local food and drinks that you can enjoy on their lovely garden patio. 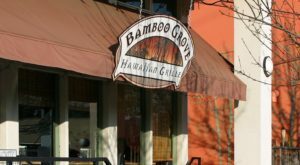 What are some other great restaurants in Oregon with magical outdoor seating?